Metropolitan Museum of Art staff with Watson Library checkout privileges are now able to access the majority of the library’s subscription databases remotely. This means that you can access our online resources from any computer outside the Museum with an Internet connection - your home computer, your laptop, or another institution’s computer. Instructions for remote access are included below. Resources for which access has been enabled are also listed. If you need remote access and do not have checkout privileges, please contact Lisa Beidel at x2344. 1. 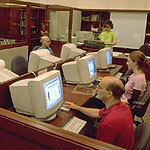 Connect to WATSONLINE at http://library.metmuseum.org/. 2. Search for the title of the electronic resource or database, e.g. JSTOR. 3. Click on the hyperlink for the resource in the record, directly underneath “Link to:”. 4. You will be prompted to enter your Last Name and MMA ID Number. 5. You will then be able to search within the electronic resource. Please note that a few of the library’s electronic resources cannot be accessed remotely due to license agreements, or the fact that they require a password. ... it is possible to search for Met objects by accession number, provided of course that the number is included somewhere in the article. You can search by accession number in almost any of the JSTOR search interfaces, though I recommend Advanced and Expert. In the Advanced search, use either the "All of these words" or the "Exact phrase" text entry boxes. Enter the number exactly as you see it, with the periods. JSTOR is essentially performing a keyword search on the full-text, which includes both words and numeric strings. Unless you specify a specific field to search (e.g. title), a default full-text search will search absolutely everything - articles, footnotes, bibliography, captions. 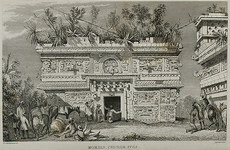 As the accession numbers are often included in captions, they will thus be retrieved.